Maxstor is leading in manufacturing and supplying optimal quality Office Cupboard that is designed for versatile office application. We offer the different height of office cupboard for the organized system with minimum spaces. 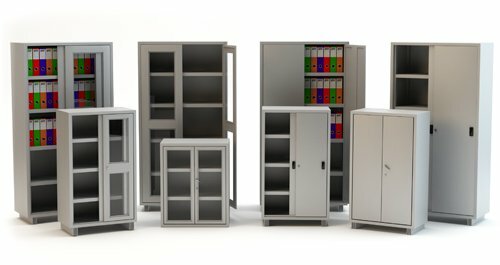 These office file cupboards are used for the systematic arrangements of the different size of files. Smart management of spaces provides a proper implementation of an ideal storage system. Office file cupboards are available with different door options like glass doors and sliding doors. File dividers of shelves help to manage more quantity of files. We are the leading office cupboard manufacturer of India and our products are preferred and imported by numerous countries such as South Africa, Nigeria, U.A.E, Qatar, and Malaysia etc. We offer them at market leading price rates.